From £50 to £110 depending on the type of Reading you require. Please email for more information. If you require an Email Reading please email me or visit my website and I will do what I can for you. World Renowned Tested & Certified Psychic/Medium who inherited her gifts from her Grandmother. WELSH Born and fondly known as the "PEOPLES PSYCHIC". Specialising in Questions about LOVE, RELATIONSHIPS, CAREER etc. She is honest and straight to the point. Lynne has been voted one of the "Worlds Elite Psychics, Worlds Best Psychic, Best Metaphysical Teacher and Spiritual Guide". As featured on the UK TV series "Educating Joey Essex" and many Magazines articles. During a Peoples Vote Worldwide 2014-2016 she was voted as the "WORLDS BEST PSYCHIC" and dominated the voting scene. Lynne was the only UK Psychic to reach International 1st Place. She was the 1st British Psychic to be published in National Directory & Register of the "Americas and Worlds Best & Most Trusted Psychics, Mediums & Healers". She has also had the honour of being chosen to appear in the Book "Americas & Worlds Best Psychics & Healers Who Care Most About YOU". Author Maximillien de Lafayette. She is a Psychic and Trance Medium and Seer and voted Best Spiritual Guide and Metaphysical Teacher. She is also featured in "Its Fate" Magazine for her dedication to her work with spirit & also featured in the Xmas Issue 2012 of the popular Psychic Magazine "Fate & Fortune" for with a true account of her Trance Mediumship. UFO Magazine 2013 and the recently published American Psychic and Medium Magazine 2014. Lynne is a World Renowned Powerful Psychic, and has helped people from all over the world and all walks of life, and being a Trance Medium and is able to offer a different way of communication with spirit. Her guides come very close enabling her to change her facial and sometimes bodily features. Her late husband is her Gatekeeper and through him and her Guides can offer YOU accurate and charasmatic readings. Lynne combines her Spiritual Work with her dedication to Martial Arts. She and her students are known throughout the World. She is a 5th Dan Black Belt in Karate, Kickboxing and Muay Thai. She has met and still in touch with Don the Dragon Wilson and Cynthia Rothrock and many other famous Martial Art Movie Stars. Lynne is a natural born 3rd Generation Psychic/Seer and Trance Medium who has an inner sense of "knowing". She works with Spirit when conducting her readings. Her guides have to be present as Lynne will not work in any other way, thus allowing connection between the TWO Worlds. Lynne has had many experiences throughout her life. She is a straight talker and will not give you false hope. She is a natural Healer and Spiritual Teacher. She is able to help in all areas especially Love and Relationships and Career issues. She will be able to assist you with your questions and will give you an honest and compassionate answer. Lynne works with her guides and sometimes her Psychic Tarot Cards. She also teaches Spiritual Development and will help you with all areas of your Psychic Development. Her Martial Art Training has also helped her with her Spiritual Work as the 2 worlds meet in meditation as Lynne is able to tap into her psyche that she used for her martial art training. She is a Master 5th Dan in Karate & Kickboxing. 1st Dan Muay Thai & Taekwondo. Winner of "Millennium Coaching Award 2000", Winner of "National Coaching award 2002". And many others including her interview with the famous “Combat Magazine”. 9. Mega Book. Lightworkers 2013. The Best, Friendliest, Certified, & Most Honest. deal. Lynne is the real thing. I will be calling her again and I have already told many of my friends do yourself a favor, book a reading quickly. perplexed by the accuracy of the reading. I thank your spirit guides and angels for their assistance in confirming all the things I sort of knew and felt. WHAT YOU SEE IS WHAT YOU GET WITH LYNNE. NO Aires and Graces or "Look at me this is who I am". Lynne is the most down to earth person I have known especially when it comes to her spiritual side. She is so accurate with her connection with the spirit world its creepy, but she doesn't get on her high horse and say "I'm the best" on NO she says "I do my best". A warm charismatic lady with so much to give to this world or ours. Love her and the work that she does. A down to earth warm lady who helps many throughout the world. I am so pleased to call her a friend a she is someone who has helped me through difficult times the past 12 months and without her I wouldn't be here now. So come on Lynne Caddick you are the Worlds Best in my eyes and many more people feel the same way. -To Whom it may Concern. I had the pleasure of attending a prestigious event at the Park Inn in Cardiff, South Wales which was organised by Zenergylife and the gentleman Psychic running it was Mr. Ant Edwards. The event was in aid of "Save The Children" and Lynne was in attendance as one of the Psychics available for readings during the evening. I was immediately drawn to this wonderful lady when Ant introduced all the Mediums who were there that evening. The evening started off where we all sat down on different tables and each table was allocated with a medium, wasnt I pleased when It was Lynne who was our medium for the night. We were presented with a meal before the readings commenced. Immediately after our meal each person took it in turns to see our designated medium. When it came to my turn I was really nervous as I had never had a reading before, but Lynne made me feel at ease straight away. When she was connecting with me she brought through my husband and I thought to myself mmm, it couldnt be my husband as he hadnt passed over, but she went on to say that my husband was communicating with her from his hospital bed where he had lain in a coma for several weeks. She knew nothing about this and we were just talking away and the proof she gave me was amazing. How she could talk with my husband whilst he was in a coma was beyond me, but the proof she gave me was so true even to the point that he was sick of my knitting and told me to take a book next time I went. All I can say is that this lady is truly a gift from heaven who is here to help others and guide them on their pathways in life. Truly amazing and I am still shocked that she was able to do this. I left that evening crying and told Ant about my amazing experience with her. The others on my table were equally pleased with what she had told them, so we left a very happy crowd believe me. I have kept in touch with Lynne since that night and have told her of the progress that my husband has been making. I have now stopped knitting whilst there and just sit and talk to him or read a book. Amazing lady. Lynne deserves this recognition for the continued work she does for others and I feel truly blessed to have crossed her pathway. Helen Jordanrn24h-Dear Peggy North. I have known Lynne Caddick for some time now and she is a very special person with a very special gift and talent. An ordinary lady from an ordinary background who brings light into many lives. I have had the privilege of knowing Lynne through her Martial Art Teachings for which she is known all over the world and I have followed her progress also as a Medium. She has the ability to communicate with spirit in such a unique way and brings hope to many. With her skills she has demonstrated that there is a life beyond that no one can deny. Lynne so deserves to be amongst the Best and recognised for her ability and the work she does with spirit and the help and guidance she gives to so many here. Wales is proud of Lynne and of course the UK, and through this very rare opportunity she will be known throughout the World. I would like to give Lynne my vote as she so deserves to be amongst the Best. The National Register honours those who gives to others, and they so deserve the recognition. Yours truly John Taylorrnrn rnrn24i-Dear Peggy, I would love to nominate Lynne Caddick for inclusion into the national directory of the Best American Psychics. Myself along with 5 other of my friends requested to have a reading by Lynne about 6 months ago. In all honesty we were all very nervous to meet her but she put us right at ease as soon as we met her. She is a lovely woman with a very kind nature. She made us feel comfortable. She blew us all away with her accurate readings. All 6 of us. She is one of the best I have ever had a reading from. My sister and her friends advised me to have a reading with her, they told us how amazing and accurate she was. She knew things, not even my friends knew about their own family. Needless to say we were all amazed. Lynne is loved and respected by everyone that knows her in Wales and by many around the world. She is so deserving to be a part of this. Many thanks, Mikila Marshall. Lynne, this women is amazing and deserves all the love and recognition she gets. I am impressed with her abilities,kindness,love and insights. She knows names and numbers and it is no accident that she has the ranking she has which is the BEST OF THE BEST. I have been to numerous Psychic's overtime and if you have found her then don't look any further she is the BEST and is Accurate. Thank you Lynne, you have brought back joy to my life through your knowledge. All my best to you..
What can I say but THANK YOU Lynne for the most amazing "Spot On" reading. You made me feel special and speaking to you was just wonderful! Lynne is easy to talk to and is very thoughtful and understanding. I look forward to her predictions for the months ahead. First time speaking with Lynne. She is forthcoming and confident in her predictions spring next year. I've had readings from a few of the top 10 in the world! They each have their strengths! 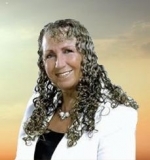 Lynne has very strong mediumship connections as well as psychic. She appears VERY empathic when coming to emotions and intentions! Predictions are made after that. I enjoyed her charismatic and sensitive style. I can see WHY she is sought after by so many! Thank you! At last I have found a compassionate Psychic in whom I can confide in and trust. I always feel uplifted when I speak with Lynne as shes compassionate, understanding and empathic. I love her voice, it is soothing. The welsh accent is wonderful and she is straight to the point when connecting unlike some psychics who keep you on the phone for as long as they can. Lynne isn`t logged on very often but when she is I will immediately ring her. I am always excited to speak with her. One Word: BRILLIANT. Absolutely stunned by this lovely lady. Her charisma and her intuition is off the scales. Lynne you were so right in what you sensed and thank you for bringing my late mom through for me. I will be back! Trevor Maines. I am an addict when it comes to having a reading conducted and over the years I have contacted numerous psychics and mediums but not one of them can hold a light to Lynne. She is charasmatic and on point. She doesnt mess about, she tells you how it is whether you like it or not. This is what I liked about her, honesty and integrity. She blew me away with names and events that only me and my family would know about. I recommend Lynne 100%. Will be back!..Thank you for your guidance. Sincd 2016 I have been under Lynnes spell so to speak. I cannot thank her enough for her wonderful guidance throughout a very trying time. Lynne you predicted my fathers health would improve even though we were told by his consultant that he only had a few months left in 2016. He has improved dramatically through your healing process. I have also had a baby that I longed for and never thought I would conceive, during which time I met the man of my dreams who you predicted. Thank you. I was experiencing a lot of paranormal activity in my home which scared me so I was advised to speak to Lynne as she is an experienced paranormal investigator. So I phoned her and even though she lives miles away she managed to deal with the problem through her energy and she connected with a child in distress that had passed over a long while ago. She helped her pass over and since then my home is at peace and I do not feel any more negativity. Thank you Lynne for your help. Spot On Lynne..I connected with Lynne about a month ago and since her amazing reading everything has happened as she said it would and during the time periods she gave. . You have such a wonderful warm character and an amazing talent. Will be back soon for another reading with you. Oh I just love Lynne and I am always excited when she comes on line and that isnt too often, so I grab the chance to speak with her. Lynne always offers the right guidance from spirit and her guides. Her predictions have been spot on and her intuition is off the planet. She really does blow me away with her abilities. Say no more! I am glad I found Lynne on BPD. Had a lovely spiritual reading with Lynne earlier today and was astounded at her accuracy. You now have a regular client Lynne. Thanks for you input and your help and guidance. Looking forward to speaking with you again soon. It is always a lovely experience when I connect with Lynne even though I don`t see her on here very often. But I grab the moment when I see her logged in. She is charasmatic, caring and upbeat and always makes you feel at ease when you talk to her. Lynne is just the real deal with accurate messages that she receives from Spirit. Her guidance has been amazing with much proof and her messages have been SPOT ON! I thoroughly recommend Lynne if you are looking for a genuine Psychic. WOW loved talking to Lynne. So accurate with my present situation and my past. I will be consulting her regularly as I have found someone at last that I can trust! I found Lynne on the internet through Google and I am so pleased I did as she has uplifted my spirits and also given me proof that there is another life after this one. There are many doors that we have to open and close along the way she says and I am so please I opened this door to Lynne. The proof was just out of this world and she just gives her all. Today I feel like a new person thanks to Lynne. I needed guidance and she was sent to me. I am now an ardent follower. This morning I had a 2nd reading with Lynne over a Skype session. Lynne is in Wales and I live in CA. You would think we were at a Starbucks together chatting over a latte. Lynne is an example of what a client should expect from a medium. She gives her best and when she connects with a loved one in spirit, the information is so evidential, specific and upbeat. I never felt so loved and blessed. Lynne is a treasure, I want to share with the world. I have been connecting with Lynne for several months and I am astounded at her accuracy. She has always been consistent in her predictions. I love speaking with her as she is so calming and can be very funny on times which makes you feel at ease. During the past 12 months I has been a roller coaster ride, but now I feel as if my feet are firmly on the ground thanks to Lynne wonderful guidance. I want to extend appreciation and gratitude for the spot-on guidance I received just a Skype call away from Lynne Caddick. I do not feel anxiety for the first time in weeks! It is an incredible feeling to feel like the weight of life's pressures have been lifted all due to a master medium (Lynne) and my deceased Uncle who came to my aid. Just priceless and accurate guidance. Thank you! Who is this woman? MY OH MY. I cannot begin to tell you that Lynne is the most amazing Psychic I have every spoken to. How does she do it? She just blew me AWAY with her accuracy of my situation, my family and everyone I love. Take care Lynne you are an ANGEL who is meant to guide us! My family and friends will be in touch. Lynne has been consistent in her predictions for the past 3 years. Always spot on, and without her guidance I can honestly say I would not have coped. I love to listen to her speak as she is so calming and very understanding. Without a doubt Lynne is the best Psychic/Medium I have come across over my years of searching for the right one. She is wise and empathic. She is the REAL DEAL! Thank you Lynne for always being there for me and giving me guidance and wisdom. I have had a few readings with Lynne through the Instant Reading option and she has been consistent every time. She blew me away with her accuracy. I waited on her predictions and each time they have come true. An amazing talented a charasmatic lady. Will be back for more. I freaked out when I saw Lynne was back on Best Psychic Directory. I was so pleased that I picked up the phone and rang her straight away. So very happy Lynne to see you back on here. It has been a pleasure reconnecting with you. You are always spot on and to the point. You now have a regular client once again. Much Love. Jolene. I was so excited when I saw Lynne back on the Instant Reading page and immediately gave her a call. It was like stepping back in time. So lovely to speak to her again as so is so consistent with her future predictions and such an inspiration with her guidance and advice. Thank You Lynne. All I can say is that I waited to connect with Lynne and it was well worth it. I have had many readings from many Psychics world wide and have never been impressed by any of them until a friend recommended Lynne, so I took the chance and phoned her, at first she didn`t respond and waited a few days for her go get back to me, but now I know why. Because she is so busy and no wonder because SHE IS AMAZING, ACCURATE, TRUTHFUL, AND SINCERE. I have finally found someone I can trust. I recently had a Phone Reading with Lynne and immediately she made me feel at ease. I love her voice as it is very soothing, and all I can say is she`s the REAL DEAL. I have consulted many Psychics over the years and at last I have found Lynne. She doesn`t keep you hanging on or waiting, she is direct in her guidance, which I like. She is 100% a True Psychic with extraordinary abilities. She gave me names of past loved ones and those present. I am in AWE! Lynne sent me an online reading and it was absolutely spot on . A beautiful document that I have read and reread . Highly , highly recommended . Lynne gave me an email reading over a year ago that continues to amaze me TO THIS DAY. She was able to look almost two years out with some things! So much has come to pass I am still blown away by her. Not everything she told me was exactly what I wanted to hear- but at least I was prepared!!! I am so awed by her ability!! I recently had a reading with Lynne and was absolutely blown away. She managed to connect straight away and left me feeling uplifted and hopeful for the future. Bless you Lynne and I you are the best psychic I have spoken to and have faith in. Much love. Jennifer. Upon recommendation from friends who have had readings with Lynne, I was recently lucky enough to have a private sitting with her as she has a very long waiting list. It was so worth the wait as she brought me such comfort knowing that my daughter has passed over to the other side safely. It is also comforting to know that we have genuine psychics in this world and believe me I have visited many charletons trying to connect with my loved ones. She is a human angel sent her to do gods work.